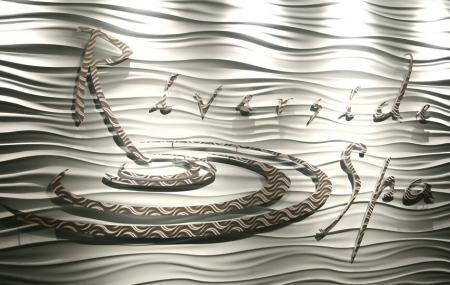 A completely different and out of the world experience awaits you at the Riverside Spa. Established as a leader among Calgary Spas, the spa boasts of an exceptional team of registered massage therapists and experienced aestheticians. From soothing, rejuvenating and healing massages to a bath under Swiss showers, it is an experience to be had! Spa treatments cost $100 onwards. WB Bowness RD @ Point DR NW bus stop. How popular is Riverside Spa? People normally club together Fort Calgary Historic Park and Sikome Lake while planning their visit to Riverside Spa. I loved this place. Upon arrival I changed into sandals and a robe. I sat in the lounge area drinking cucumber water, until my MT came and got me. I had a full body massage with wonderful aroma therapy. After my massage I relaxed and had tea and cookies. I also sat in the steam room before leaving. Fantastic spa. Has all the amenities you need. Very clean and professional. The services are great. The staff are very helpful but I found it too busy and noisy. I went in the evening on a weekday and once on the weekend. It gets very busy, the locker room was full and I found it hard to get to my locker and have room to change. Each time I tried to use the showers they were busy. In the waiting room it is in the same hallway as people getting pedicures and with all the different conversations it did not create a relaxing atmosphere. You can hear people while you are in the treatment rooms as well. The first time the room was closer to the pedicure area and I could hear this woman's entire tirade about her horrible husband and kids. She kept saying she just needed this time to relax but she sure wasn't making it relaxing for anyone else around. I wish the staff would approach people who were loud and ask them to keep it down. The treatments were great, the staff really seem to listen and create a good experience. They were very knowledgeable. Probably the best therapeutic massage I have had. However, I probably won't be back just because of the noise. I feel bad about not giving 5 stars because I understand the spa cannot kick out annoying loud people.